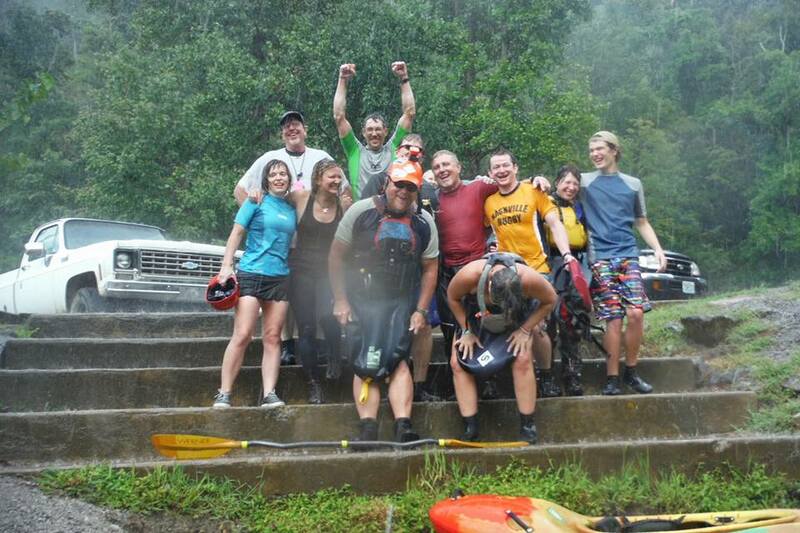 Ocoee, Mano a Mano: My First (and Only) Solo Run | DBP MAGAZINE ONLINE The World's Best Free Whitewater Publication. I didn’t tell very many people when I decided to run the Ocoee once by myself, but the responses I got from the few trusted friends I shared it with were all over the map. 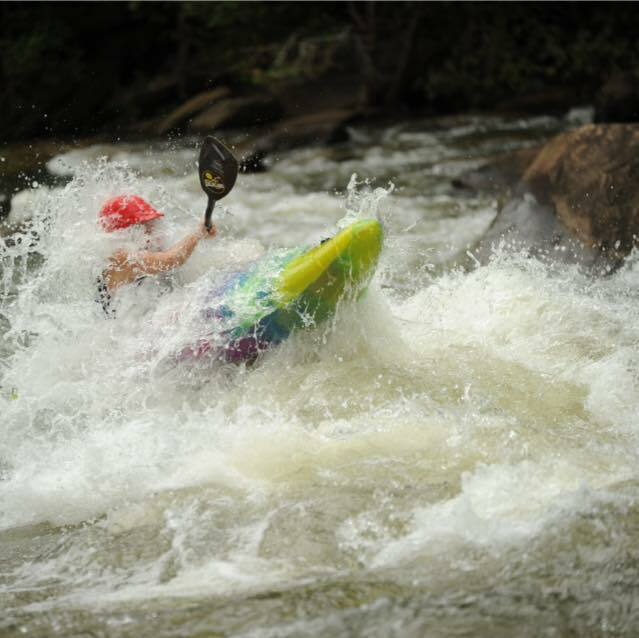 The thing is, I had done the Ocoee probably fifty times since my first white-knuckle lite run during a lesson two years before, and it still gave me the willies. I had had one swim (Grumpy’s – no significant injuries), a million rolls, countless great times with my friends, tons of progressively more challenging lessons, and zero reasons for the dread I got every single time I walked the ramp down to the put-in. And then I’d check off the rapids: “OMG, Grumpies! Okay. OMG, Broken Nose! Okay.” And so on, down to the final relief of getting out of Powerhouse unscathed. It can be a pretty big kick being a natural-born chicken sh*t baby-stepping your way up in a sport like this. You’re not going to be the superstar cool kid who went 0-class VI in six months, do not pass go. But when it comes to strings of small battles won that felt like World War III at the time? You get those for days. Still, I was frustrated. I remember feeling smug, not long after my first complete run of the mighty Ocoee, and coming across a Doug Ammons article about Jeff West in which he described the Ocoee as a river “experienced kayakers write off as a raft-infested newbies’ run.” Huh. So a solo run. The idea was terrifying but also kind of liberating. It’s all roadside. Probably the worst that would happen is that I’d swim somewhere, have to chase my gear, maybe even lose something, be really embarrassed – so be it. If the absolute worst happened and some fluke landed me upside-down and helplessly pinned, with no one around to help…well, then, it was just my time. Nah – not as scary as the Ocoee. The first task of the day was one of the hardest for me – I had to ask for a ride. Probably from a stranger. I drove up to the put-in and locked my boat to the sign in the parking lot with a bike lock. (Is this nerdy? Did anybody see me? But my boat.) It’s usually hard to find a spot to park on a Saturday, but I was the only person in sight. Same story back at the takeout. (Hey, wouldn’t it be awesome if nobody shows all day, and I can’t get back to the top, and all this stress was for nothing?) But then a Southern gentleman in a pick-’em-up truck pulled in, ready for a day on the river with his young son. He was more than happy to let me hop in the back. Wedged in behind a big blue raft and with the cold air blowing tears out of my eyes, I was plumb out of excuses. I didn’t jump on him, wrap myself around him, and plant big, wet kisses on his person, but I kind of wanted to. Dude with a squirt boat-looking PFD and an old-school red playboat – thank you, whoever you are. The traditional line at Grumpy’s went as it usually does. I giggled and tried to breathe and headed down to Staging Eddy, where my friend Deborah was sitting in an eddy. She called me over and made me roll. She was unsatisfied with my first roll and made me roll again. Glad they thought so. I felt pretty awesome. I looked across the river and saw Red Playboat Dude from Grumpy’s. He was waving his paddle in the air and grinning from ear to ear. Two of my favorite Ace Kayaking instructors were at Slice ‘n’ Dice, doing their thing. I tried to look fierce and hoped they’d be proud. Everything else went pretty smoothly, and I got to Hell Hole thinking, almost done. I busted through the waves, continued through Powerhouse, and threw my paddle over my head, screaming like a dizzy tween at a One Direction concert. I did it!!! Then the air was full of sound. I looked back and realized that the playboaters waiting for their turn in Hell Hole were hollering with me. I didn’t know them. They had no idea what was so exciting, but by God, they were joining the party. My heart felt like it might explode from gratitude as I yelled back at them. I took off and loaded my boat, thinking food would be good. Later, at the Gondolier, I sat waiting for my order, and a William Nealy-style hot kayaker guy, all tan and long hair and well worked muscles, came over and asked if I’d like to join his group at a nearby table. “Thanks, but I – I’m reading my book,” I stuttered, showing my iPad. (In my head, I heard Baby from Dirty Dancing telling Johnny Castle, “I carried a watermelon.” Wonder why I’m single.) He gave me a sweet smile, shrugged, and went back to his friends. The hum of their talk and laughter created a beautiful white noise background for thinking about the day while I stared through my book. 1. The river felt very big. I felt very small. 2. This “soul-boating” thing – hmm. It was cool that I didn’t have to deal with anybody else’s wants and problems, and I could go and do whatever I wanted at any moment. That said…I missed my friends. One of the best parts of paddling is the company, and I found myself pitifully making “that’s what she said” jokes to myself. I am incredibly fortunate to have a group to paddle with that loves me and spoils me rotten. I trust them with my life, and all. 3. But I was okay by myself. Hell’s bells…I didn’t die, and I rolled up when I flipped, and it wasn’t a big deal. I never saw that coming when I was trying to learn my roll in the pool four years ago (and failing miserably). Boating solo might be more fun in the future. 4. I was never alone. There were always people, whether I knew them or not, keeping eyes on me, the whole way down the river. I love paddlers. 5. There were about twenty other people running this river by themselves that day, as there always are. That put my epicness into perspective. 6. Maybe I should trust myself a little more. Maybe it’s time to have some faith in these burgeoning skills I’ve been practicing for a long time now. 7. I still checked off the rapids. It’s been a few months since this adventure. The Ocoee gets less scary all the time. Now, when I get to the rapids, I think more along the lines of, “Tablesaw…what do I want to do here?” That’s a nice change. Will I solo it again? Eh, why not? Because, after a lot of hard work and staring down the bogeyman…I think I got this.